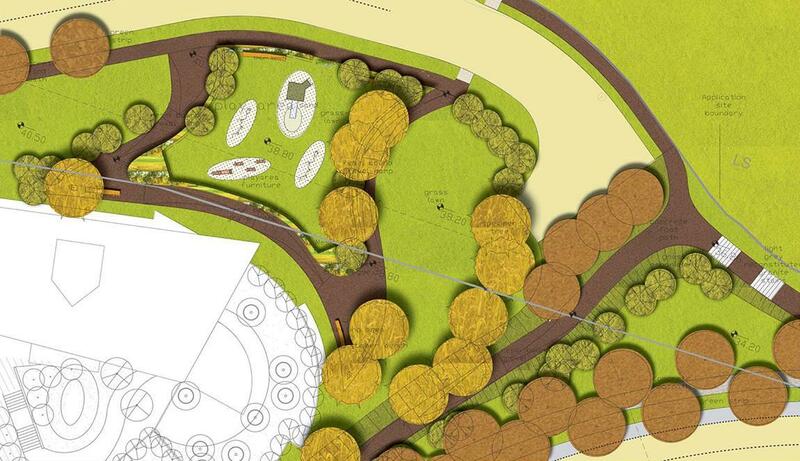 MosArt were the Project Architects and Landscape Architects for this huge Urban Design project. We prepared a Landscape and Visual Impact Assessment as part of the required Environmental Impact Statement. 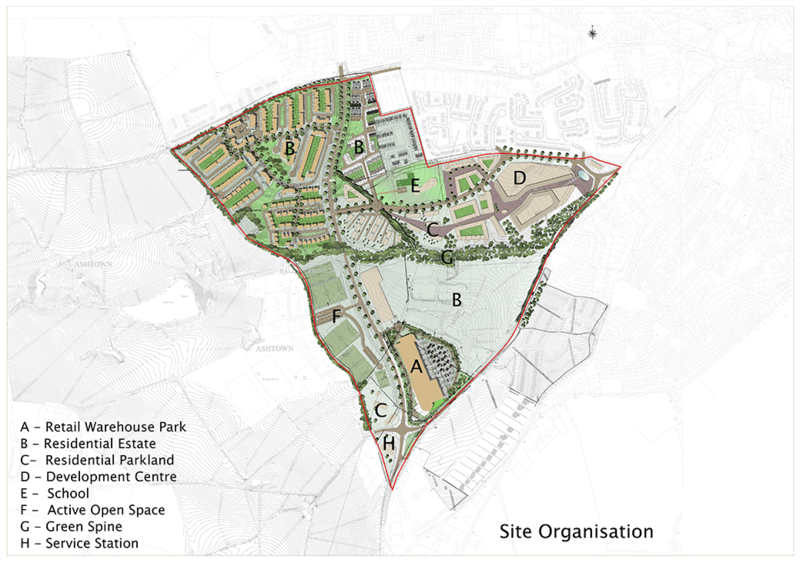 The proposed development of the Marlton lands is located in the proximity of Wicklow Town Centre and covers an area of approximately 60ha.Unfortunately the project didn’t go ahead. The site is hilly with a predominant fall towards Marlton Road. The objective was to integrate such land uses as commercial, retail, employment, education, leisure and living as well as active and passive open space located around the new urban core. Other key assets included different kinds of entertainment as well as open up the Marlton Stream valley as a public park and enhance the Marlton Road as public amenity. There would have been a network and hierarchy of open spaces within the site, which were to be universally accessible. 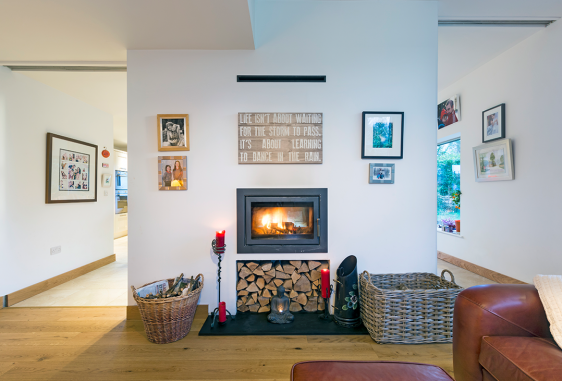 Open spaces could accommodate a wide variety of functions and activities for the local community. 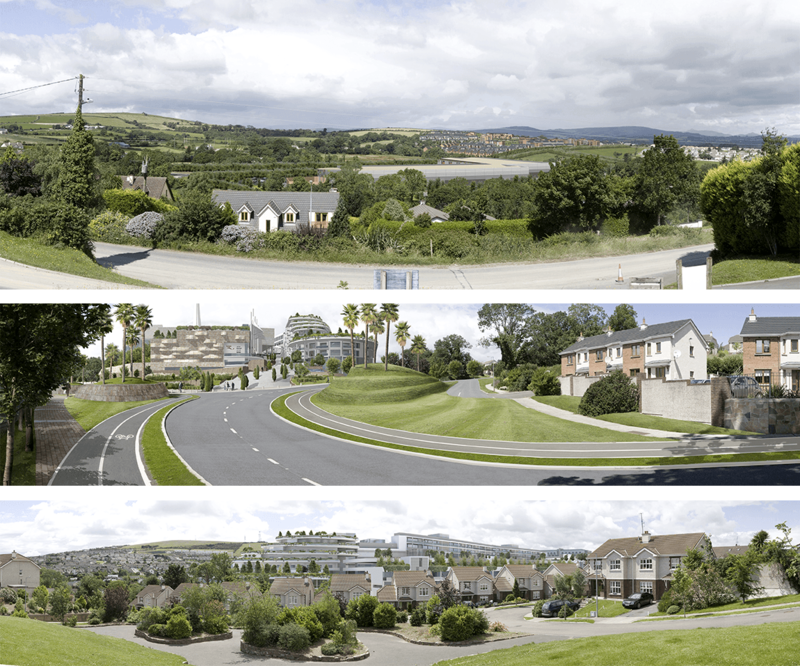 The main landscape elements are the Green Spine – a woodland valley with cycle and footpaths, green fingers, boulevard schemes for all major roads, residential parks and courtyards. 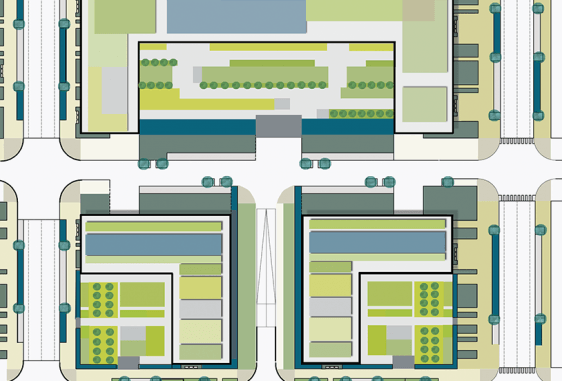 The spatial configuration of the development centre comprises primarily a main street opening out onto a plaza that is intersected by a narrow urban park. 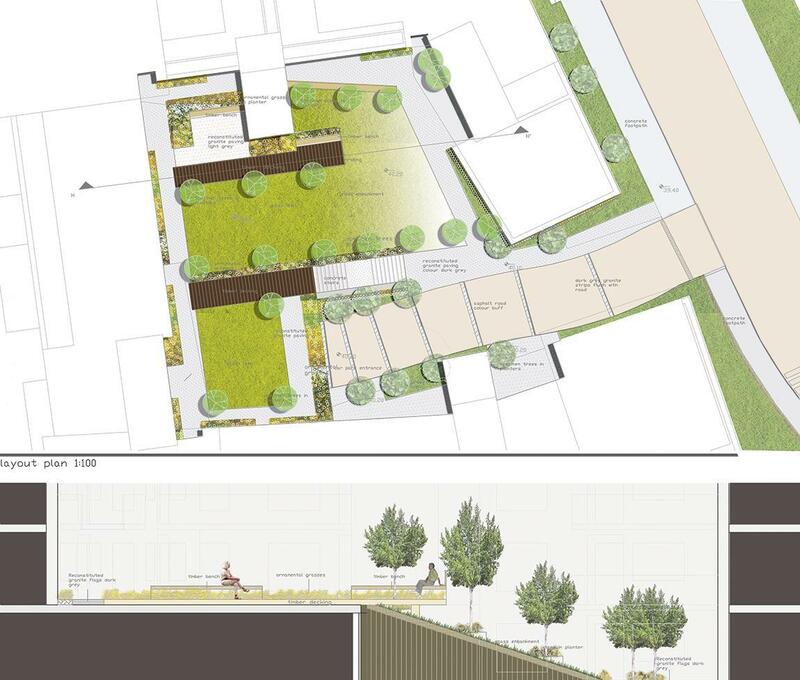 The latter provides a green finger linking the urban core to the Green Spine. 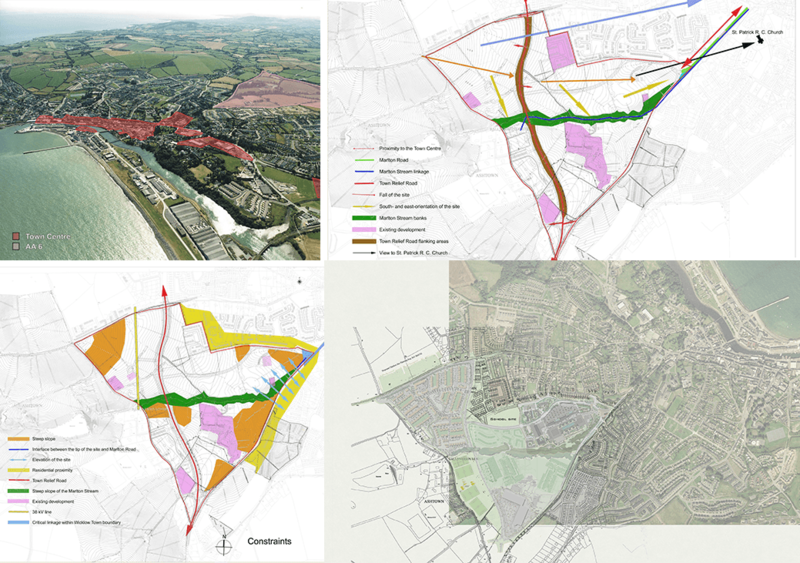 MosArt were the Project Architects and Landscape Architects for the scheme with one of the duties being to prepare Landscape and Visual Impact Assessment as part of the required Environmental Impact Statement. 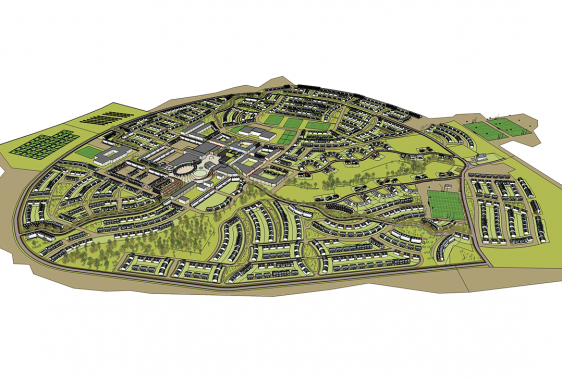 The particular challenge in this instance was to assess, in a clear and rational manner, the dramatic change in landscape character for the site from farmland to high density town centre development. 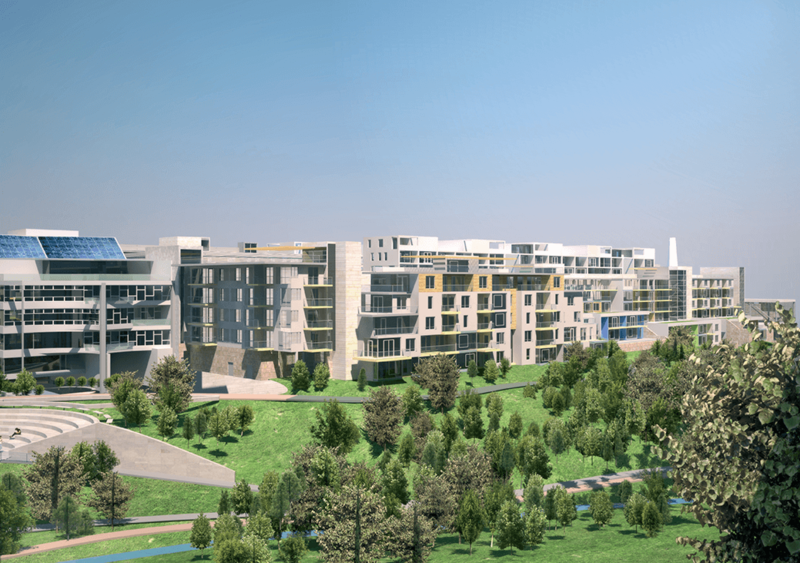 The urban core portion, comprising 9.6 ha of mixed use, is located closest to the existing town while residential areas extend to the west, south and north, comprising 32 ha. 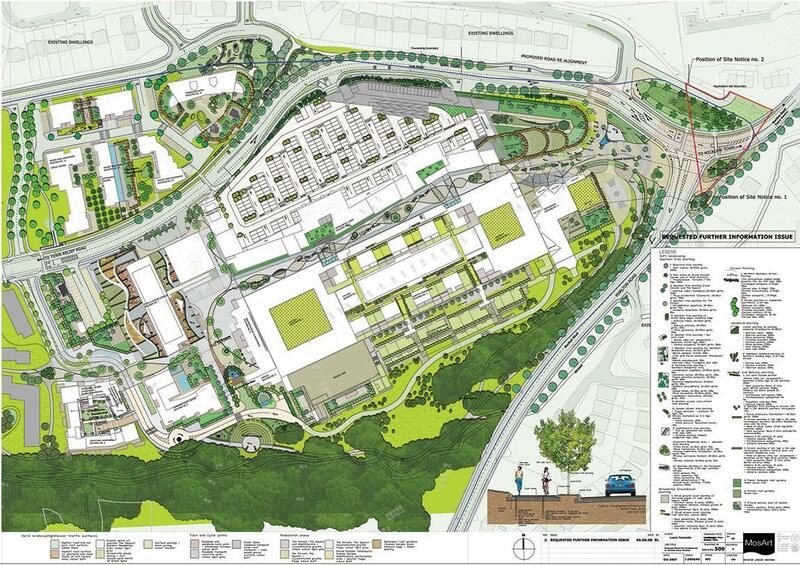 Retail warehousing of 7.9 ha and Active Open Space of 4.7 ha are located on the periphery. 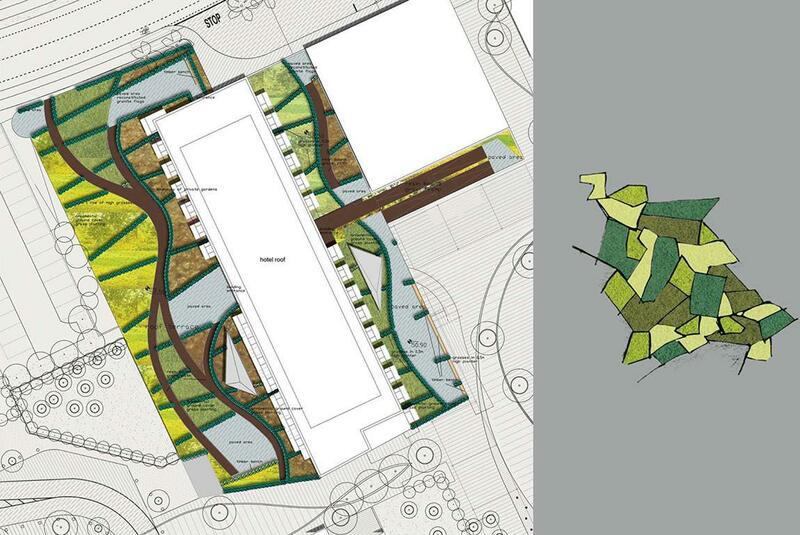 MosArt developed the master plan as well as detailed designs. 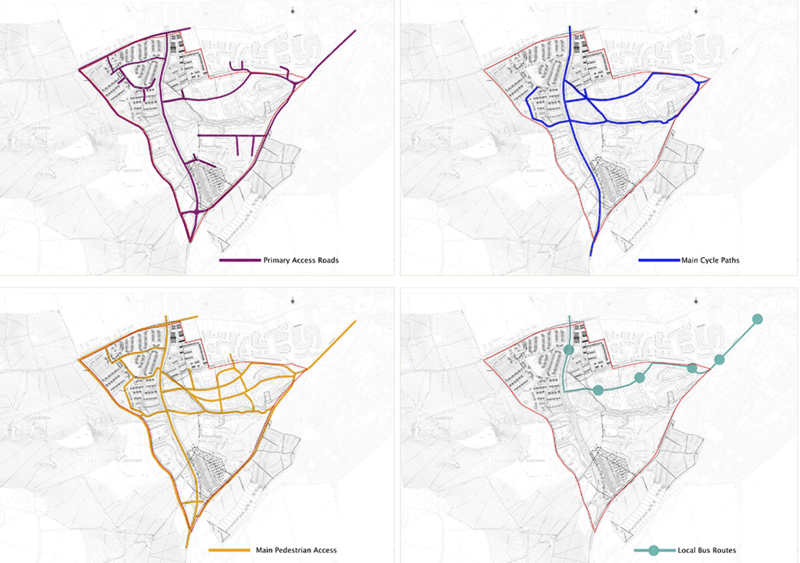 The mixed use urban core and adjacent residential areas are diverse and complex in function and spatial organisation. The core includes a shopping mall, street retail, multiplex cinema, medical centre, leisure facilities, arts centre, youth centre, leisure centre, hotel/conference/conference and/leisure complex, pubs and restaurants / eateries, offices, crèches, apartments as well as multi-storey and surface car parking. These uses are formed around a central street as well as a public square that, in turn, establishes a link to the Marlton Stream.